Drive through the gates of Mediterra and you’ll find 1,700 acres of nature preserves, lakes, parks, open space, and no more than 950 luxury homes upon completion. You’ll notice that the streets are perfectly manicured and wind through the neighborhoods in an effort to showcase every vibrant flowering plant, every bushy green tree, and every meticulously designed home. The design of this verdant oasis replicates the lush beauty of the Mediterranean region of Europe and the luxury homes built were plotted to complement the scenery, following through with their Mediterranean-inspired exteriors. 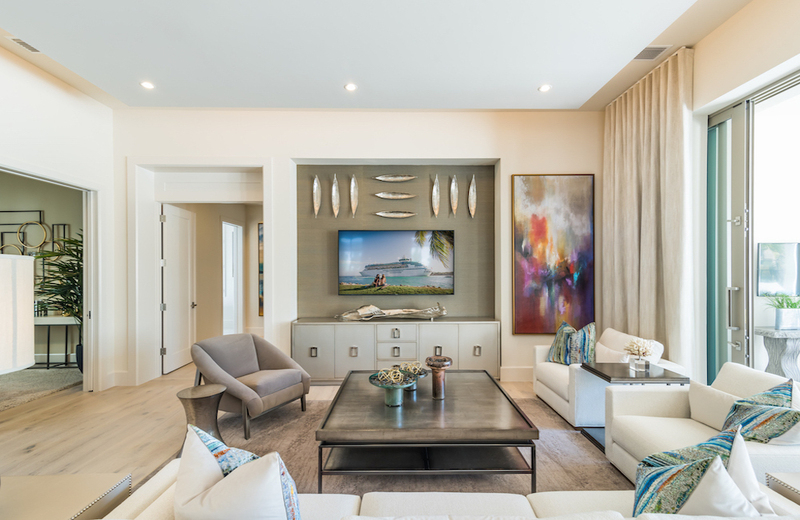 Over the years, The Club at Mediterra has expanded and renovated the luxury home community to keep the design fresh and accommodate their growing number of members. London Bay Homes, which manages all new home construction sales and marketing for Mediterra, has now added an exciting new collection of contemporary floor plans and elevations to accompany the many invigorating changes at Mediterra. The new floor plans feature an open-concept design and are available in the Cabreo and Lucarno neighborhoods of Mediterra. Starting in the high-$800’s with home sites starting in the mid-$200’s, homes featuring these latest floor plans will boast spacious outdoor living areas with optional outdoor kitchens, a fireplace, custom pools, and spas. Finish selections can be made in London Bay Homes’ Selection Studio, where clients can find the latest design trends in the building industry and can experience each and every room to see and touch the selections, not just choose items from a catalog or online store. These new contemporary floor plans are designed specifically for the neighborhood in which they will reside. Guests wanting to explore the maintenance-free, luxury villa lifestyle and live adjacent to Mediterra’s landscaped walking trails and within comfortable walking distance of the community’s extravagant gardens will find five new open-concept floor plans in Cabreo. These floor plans range from 2,894 to 3,048 square feet under air and can be built on home sites measuring 65 to 70 feet by approximately 145 feet. Each home site on the single-loaded streetscape offers lake view, preserve views, or both. Visitors wanting to find their perfect home in a lake-side neighborhood featuring double-loaded one-way cobblestone streets, sparkling lakes, glorious gardens, and majestic fountains will find them in our Lucarno neighborhood. Featuring 71 lakeside villa homes, Lucarno will offer seven new one and two-story open-concept home choices ranging from 3,170 to 4,500 square feet under air. The floor plans feature spacious great rooms, island kitchens, and dining areas, a study or formal dining room, optional wet bars, three or four bedrooms, three or four baths, second floor lofts in the two-story plans, large walk-in closets and bathrooms in the master suites, and two or three-car garages. London Bay Homes clients also have the added luxury of securing a full golf membership immediately rather than being placed on the membership waiting list as a Limited Golf Member. Membership opportunities in Mediterra are limited to just 225 members per 18 holes to ensure tee time availability for members. 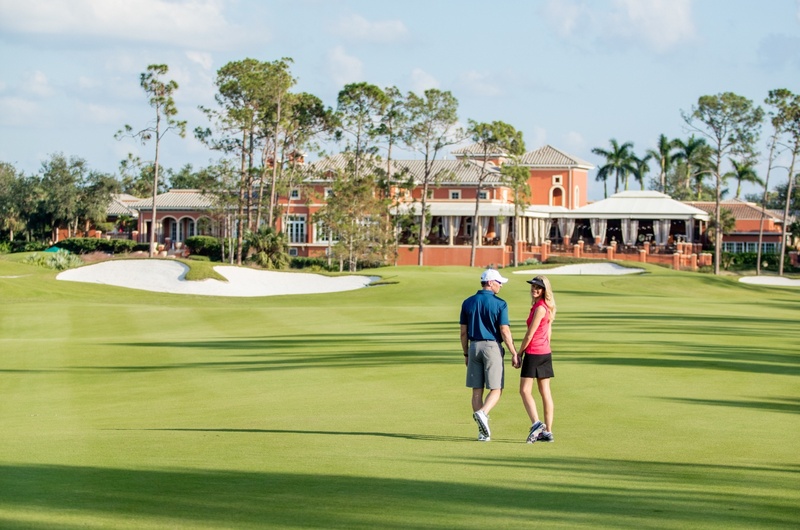 Currently, the waiting time for a golf membership is one year when you purchase an existing home in Mediterra, but if you purchase a new construction home, Mediterra has reserved a membership opportunity just for you. Contact us to get more details on London Bay Homes’ new contemporary floor plans, or download our brochure to learn more about Mediterra.